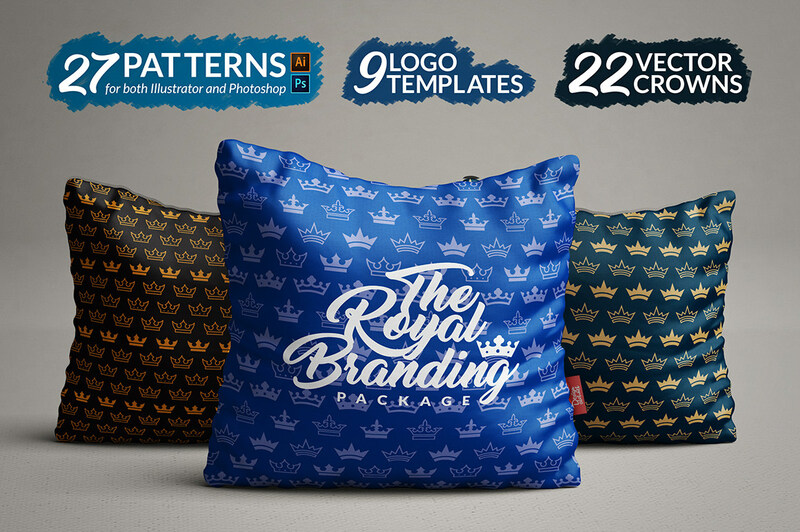 The Royal Branding Package is a pack of graphics created for royal styled projects. Click on the magnifying glass icon to see the full pictures! There 3 different patterns, each coming with 9 styling options. These can basically work on everything you’d like. You can use it as a pattern for a apparel article, for the back of a business card, a pillow cover (like show in our presentation), as a wallpaper or as anything you can think of. All of the 27 patterns come as two files: one in .AI for Adobe Illustrator and one .PAT for Adobe Photoshop. 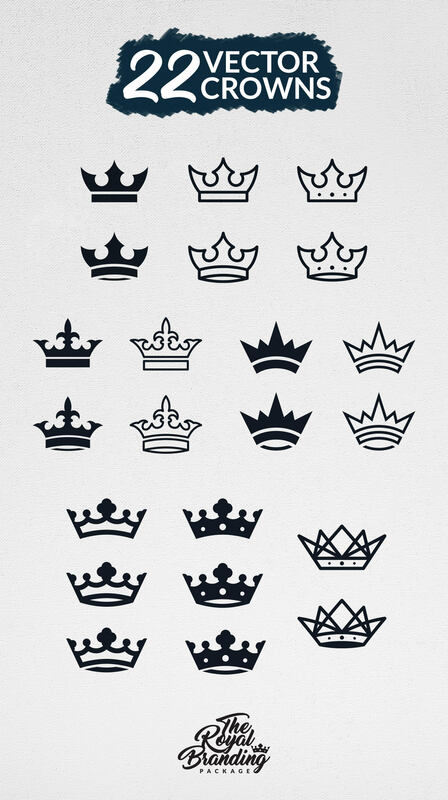 In this pack you can also find 9 unique logo templates that are based on the vector crowns also available in this pack. All fonts used in this pack are free and links towards each one are available inside the pack! Logos come as vectors, available in AI, EPS and PDF files. Fully editable, texts haven’t been outlined, which makes it really easy for you to change it with your own. These are based on an old product of mine, which has now been deleted from here, that provided 22 vector crowns for you to use on your own projects. Files come as AI, EPS and PDF. THAT’S IT! Thank you for taking the time to check out our product! PS: If you have any questions, feel free to contact us!